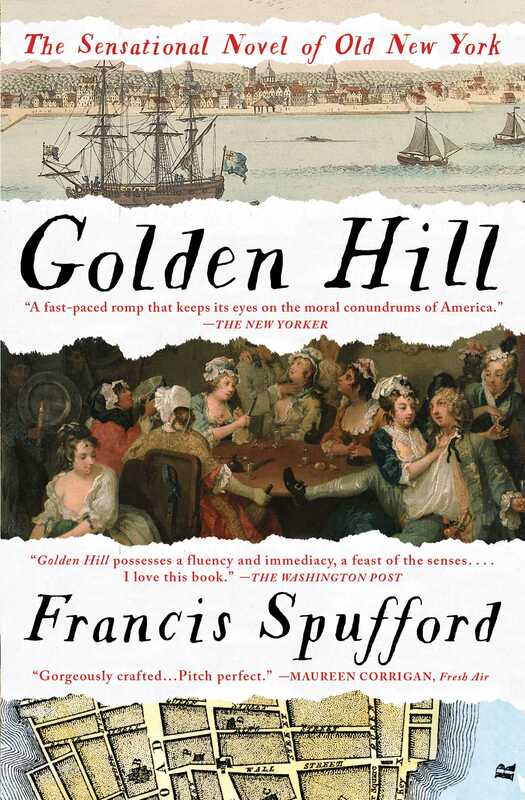 The spectacular first novel from acclaimed nonfiction author Francis Spufford follows the adventures of a mysterious young man in mid-eighteenth century Manhattan, thirty years before the American Revolution. New York, a small town on the tip of Manhattan island, 1746. One rainy evening in November, a handsome young stranger fresh off the boat arrives at a countinghouse door on Golden Hill Street: this is Mr. Smith, amiable, charming, yet strangely determined to keep suspicion shimmering. For in his pocket, he has what seems to be an order for a thousand pounds, a huge sum, and he won’t explain why, or where he comes from, or what he is planning to do in the colonies that requires so much money. Should the New York merchants trust him? Should they risk their credit and refuse to pay? Should they befriend him, seduce him, arrest him; maybe even kill him? Rich in language and historical perception, yet compulsively readable, Golden Hill is “a remarkable achievement—remarkable, especially, in its intelligent re-creation of the early years of what was to become America’s greatest city” (The Wall Street Journal). Spufford paints an irresistible picture of a New York provokingly different from its later metropolitan self, but already entirely a place where a young man with a fast tongue can invent himself afresh, fall in love—and find a world of trouble. Golden Hill is “immensely pleasurable…Read it for Spufford’s brilliant storytelling, pitch-perfect ear for dialogue, and gift for re-creating a vanished time” (New York Newsday). This reading group guide for Golden Hill includes an introduction, discussion questions, and ideas for enhancing your book club. The suggested questions are intended to help your reading group find new and interesting angles and topics for your discussion. We hope that these ideas will enrich your conversation and increase your enjoyment of the book. New York, a small town on the tip of Manhattan Island, 1746. One rainy evening in November, a handsome young stranger who has just arrived by ship knocks at a counting-house door on Golden Hill Street: this is Mr. Smith, amiable, charming, yet strangely determined to keep suspicion simmering. For in his pocket, he has an order for a thousand pounds, a huge sum, and he won’t explain why, or where he comes from, or what he is planning to do in the colonies that requires so much money. Should the New York merchants trust him? Should they risk their credit and refuse to pay? Should they befriend him, seduce him, arrest him; maybe even kill him? Rich in language and historical perception, Golden Hill paints an irresistible picture of a New York provokingly different from its later metropolitan self but already entirely a place where a young man with a fast tongue can invent himself afresh, fall in love—and find a world of trouble. 1. “What a difference a frame makes!” thinks Mr. Smith while first looking in on the room occupied by Tabitha, Flora, and Zephyr, less than an hour after arriving in New York (p. 10). What difference does the frame of Golden Hill, revealed in Tabitha’s postscript on pages 295-299, make in your understanding of the novel? What difference does it make in your enjoyment of the novel? 2. Saracen conjurer, agent of the French, actor, rogue, mountebank: Mr. Smith is called each of these things at some point during his time in New York. Which label is most fitting and why? 3. Mr. Lovell offers a definition of “commerce” in the following: “Commerce is trust, sir. Commerce is need and need together, sir. Commerce is putting a hand in answer into a hand out-stretched” (p.5). How does this definition apply to Mr. Smith’s mission as revealed later on? Would you call his purpose in New York “commerce” or something else? 4. Though he is never identified, who do you think the long-haired thief who stole Mr. Smith’s pocket book is? For whom was he working? 5. Golden Hill is set in 1746, eighty-two years after Manhattan passed from Dutch to British sovereignty, and thirty-seven years before it became American. Describe the various attitudes of the Manhattanites toward Britain and Holland. Where do you see fault lines that portend the coming revolution? 6. Examine Mr. Smith’s dreams during his nights of fitful sleep, first on Septimus’s too-small sofa (p. 89-90), and later on the night after his thumb is branded (p. 266-267). From the chessboard to the “wine-coloured snowman,” what do the symbols in these dreams reveal to us about Mr. Smith and his feelings toward his mission? 7. Why was Tabitha pretending to be crippled? Why do you think Mr. Smith refrained from asking her to explain her behavior (p. 97)? 8. Cato, the play put on by Septimus, is the account of the final hours of Marcus Porcius Cato, a Stoic whose deeds, rhetoric, and resistance to the tyranny of Caesar made him an icon of virtue and liberty. As Septimus says, it “tickles all the themes that New-York loves best.” Considering the political atmosphere of New York in 1746, do you agree? Considering the New York City of today, do you agree? 9. “A villain is hard to do without,” says Mr. Smith to Septimus, about the role of Sempronius in their production of Cato (p. 205). Who, if anyone, is the villain of Golden Hill? 10. Mr. Smith says a phrase to Zephyr in the Ghanaian language Twi that is not translated: “Aane, me ara ni nnipa a wo twen no” (p. 288). What do you think he is saying to her? 11. Mr. Smith tells Tabitha that she is “a bird and a cage” (p. 281). What does he mean? Is this true of other female characters in the novel? Is this true of Mr. Smith himself? What other literary figures or film characters fit this description? 12. Golden Hill presents a society in which novels are shown to inspire addiction (Flora consumes them “like laudanum”) as well as aversion (Tabitha calls them “Slush for small minds,” “pabulum for the easily pleased”). Find other examples of meta-textual references throughout Golden Hill, including places where the narrator overtly intrudes upon the story. How do these moments force us to reevaluate the novel’s universe and purpose? What shortcomings of the novel as a form do these moments expose? 1. Immerse yourself in Mr. Smith’s New York City by finding maps of Manhattan and the surrounding region from the early 1800s. Locate streets and landmarks mentioned in Golden Hill. 2. Research picaresque novels and decide if Golden Hill fits into the traditions of the genre. Read another modern picaresque novel from the list below and compare its style to Golden Hill. What qualities do they share? 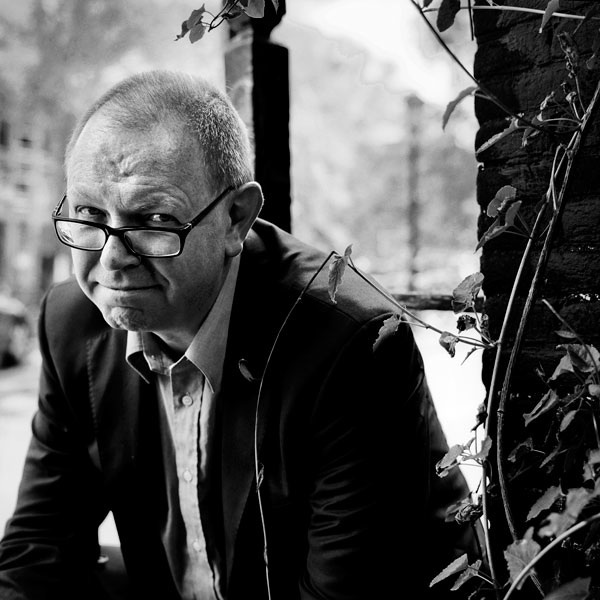 Francis Spufford is the author of five highly praised books of nonfiction. His first book, I May Be Some Time, won the Writers’ Guild Award for Best Nonfiction Book of 1996, the Banff Mountain Book Prize, and a Somerset Maugham Award. It was followed by The Child That Books Built, Backroom Boys, Red Plenty (which was translated into nine languages), and most recently, Unapologetic. In 2007 he was elected a Fellow of the Royal Society of Literature. He teaches writing at Goldsmiths College and lives near Cambridge, England. Golden Hill is his first novel.